Here is an exciting easy-to-use sight-singing method for middle school/jr. high choirs that starts from square one, assuming no previous training. It is presented in a logical, sequenced order, with harmonically combinable exercises to develop rhythmic and melodic independence. 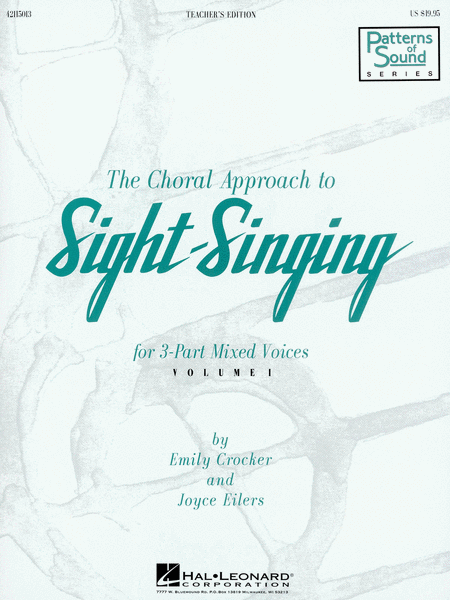 The collection offers a variety of a cappella and accompanied songs for 3-Part Mixed voices in two sequenced volumes. The Teacher's Edition additionally includes complete instruction for use of the method!